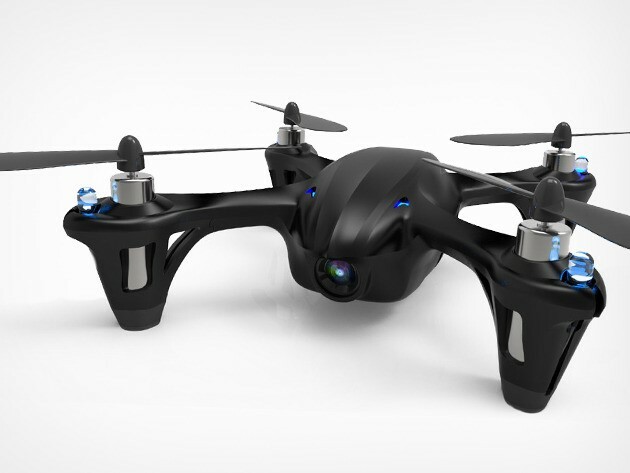 Our most popular deal ever (it’s sold out extremely quickly on three separate occasions), the HD Code Black Drone is finally back in the TNW Deals store and ready to ship! Get it now for 50 percent off, with international shipping available! Finished in stunning matte black, the Code Black Drone features beginner and expert flight modes so you can execute simple flight patterns and tricks right out of the box, and more complex maneuvers once you’ve got in some practice. The Code Black Drone includes an easy-to-learn remote control to guide your drone from up to 100 feet away, and also features a built-in camera to record HD-quality footage of every thrilling second of your flights. The Code Black Drone is so popular it flew off our shelves during our first three sales – but we now have limited units back in stock at TNW Deals. We’re even offering the Code Black Drone HD Worldwide for just $10 extra shipping. For the first time, this drone is available in Australia, Canada, Germany, India, Italy, Hong Kong, New Zealand, Singapore, Taiwan, The Netherlands, and the United Kingdom.